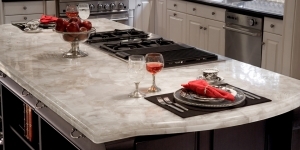 Quartz surfaces are the ultimate combination of nature and technology. Non-porous, scratch resistant and highly resistant to stains, retains its beauty without sealants or waxes and is almost maintenance-free. 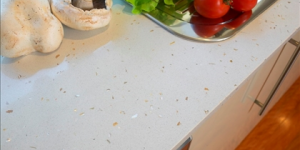 Ideal for any interior space, stone surfaces have four times the flexural strength and double the impact resistance of granite while impressively outperforming marble. Quartz is globally recognized for its simplified fabrication and installation processes that enable cost-effective solutions. Due to the material’s outstanding durability, can be installed in thinner forms to save weight, or in larger sections to reduce the amount of joints on a surface. This enables even further money-saving features that customers happily applaud.